The Port of Gdansk’s growth rate and sales have piqued the interest of Norwegian businesspeople. On 4 April 2014, a large delegation from Rogaland Logistics Association, an association of representatives and customers of the North Sea Port of Risavika, arrived in Gdansk.With its strategic location, namely close proximity to the Old Continent and a sea route to the Baltic Sea, the port has become an intermodal hub for Norway. The visitors to Gdansk sought opportunities for the ports to co-operate. They were interested in, e.g. 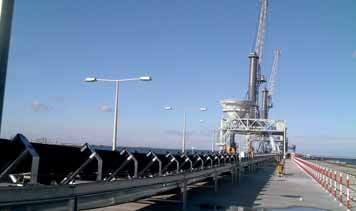 the increase in port handling operations, organization of land and sea transport in Poland, directions for the development of port services, investment prospects and co-operation between the Port and the City of Gdansk.